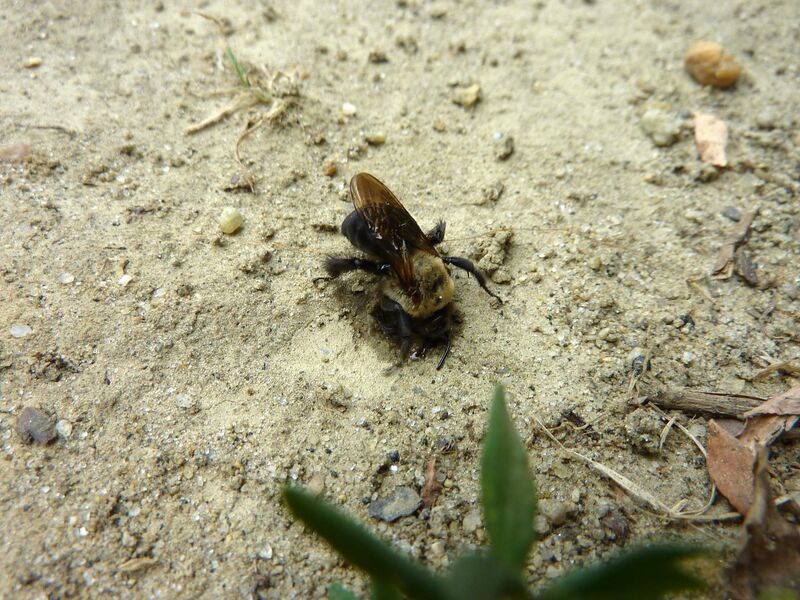 Once again there's a species of digger bee trying their luck with the dry patch in my yard. The last species landed directly on our pond to collect water in order to burrow their way through the solid clay. This species is thinner and might have better luck with it. 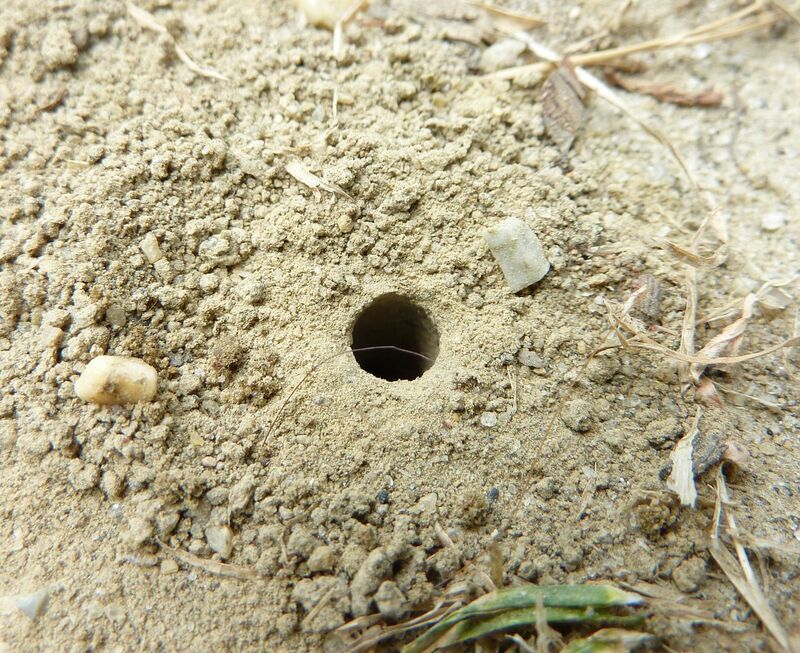 The last species dug a few burrows but would give up after only a few inches down. They're already having better luck as I see several burrows have already been constructed. 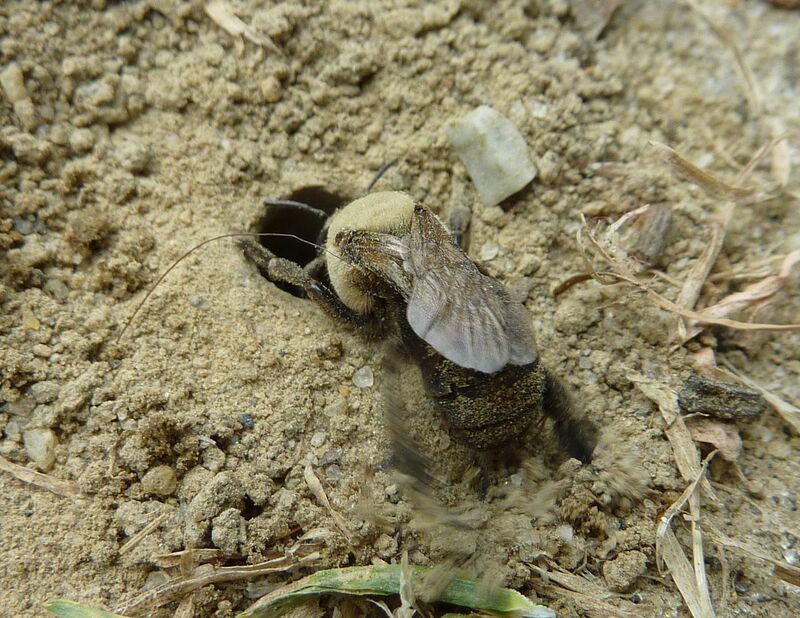 Gardeners normally hate bees like this because they ... I guess because they're bees. They're burrows aerate the soil, they're offer free and convenient pollinator, because they're solitary they're less likely to be aggressive. Besides a few "unsightly" burrows in what was already a "not so lush" lawn a few bees aren't very noticeable.